It's the time of year to be festive, to welcome your friends, coworkers and family, preferably with drink in hand. While it's sadly true that alcohol can't really warm your body (unless perhaps you're drinker a winter warmer), it can warm your spirits, which is often just as useful when it's cold outside. 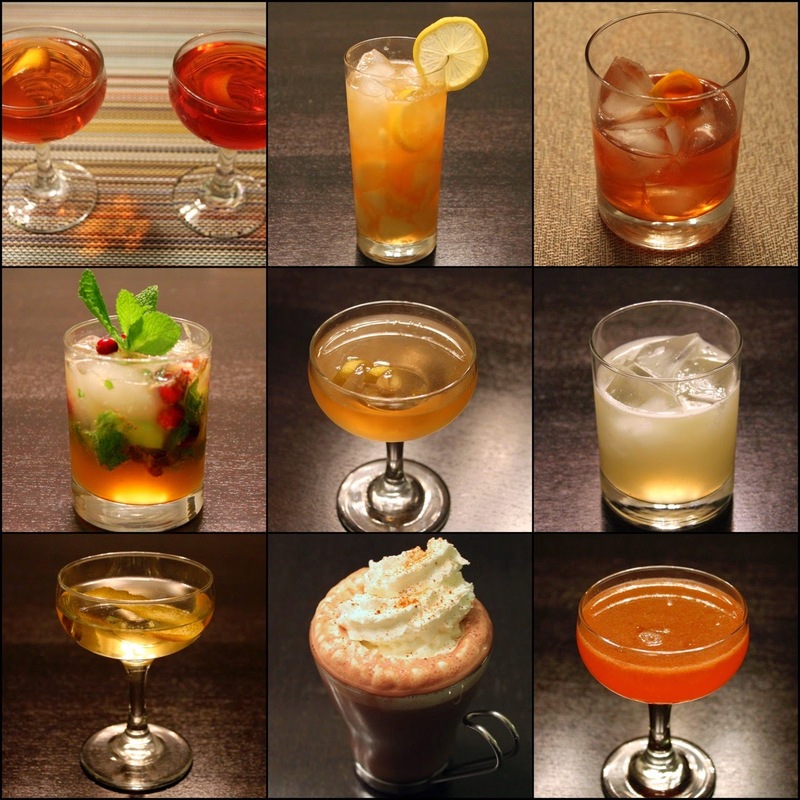 All this week I'll be sharing recipes for drinks perfect the cold winter months and the holidays. There will be a warm winter drink (today's Spicy Aztec Hot Chocolate with Mezcal), muddled cocktails, a look at the new cocktail book, Death & Co and an assortment of other drinks that just fit this time of year, like the Vanilla Margarita. Expect lots of ginger, spice and whiskey, definitely lots of whiskey (including variations on the Manhattan, Family Therapy and Paper Plane). Please check back everyday, and I promise you'll find something new. Spanish Coffee: I ran this drink in the summer, even though it's a warm drink, because it was part of my coverage of Portland bartender Jeffrey Morgenthaler's book, The Bar Book. Apple Brandy Cocktails: three drinks, including the Norwegian Wood with aquavit, the Widow's Kiss with bitter herbal liqueurs and the warm honey-mustard Scotchem. The Rye in January: Rye whiskey, ginger-cinnamon flavor of Becherovka liqueur, Cynar, absinthe and grapefruit. Honey-Nut Old Fashioned: peanut-infused rye whiskey, honey syrup, Angostura bitters. A Walk in The Woods: A woodsy blend of smoked whiskey, walnut liqueur, homemade rosemary-juniper syrup and grapefruit juice. A Rye Smile: A bitter-sweet concoction of rye whiskey, Cynar, homemade rosemary-brown sugar syrup and grapefruit. The Lincoln: Honoring the 14th president (and the Steven Spielberg film) with smoked whiskey, maple and Peychaud's Bitters. Dallas Drinks: The Julie: bourbon, ginger liqueur, sweet vermouth, bacon-peppercorn bitters. Dallas Drinks: The Jock: bourbon, Benedictine liqueur, sweet vermouth, smoky Islay Scotch, Angostura bitters.